Today, Thursday 9 August, BBC News, The Independent, The Times and The Telegraph all ran a story based on new analysis by the charity Save the Children of early years teaching staff. The charity claims that England is facing a shortage of early years’ staff, because many current staff members are not graduates. This story is misleading. Early years settings are not required to employ graduates. Furthermore, there are several routes to get into the early years workforce - university study is just one of them. The quality of early education is continuing to improve and this improvement includes a narrowing in difference between the most deprived and least deprived areas, with the difference having decreased by seven per cent in the last four years. The quality of early years childcare has risen since 2010 with 94 per cent of providers rated good or outstanding. This government wants every child to have the best start in life which is why we are investing more than any other in supporting early years education and childcare – around £6 billion a year by 2020. 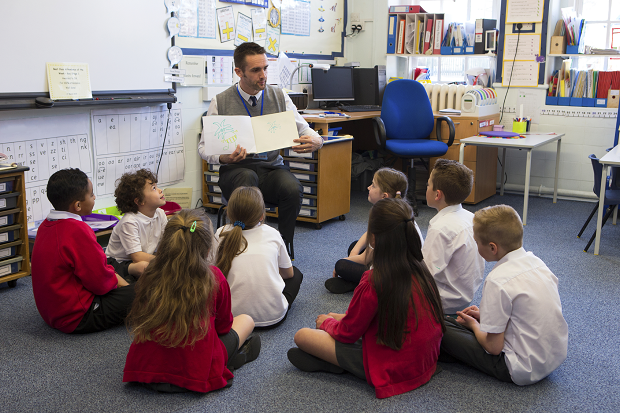 Most recently the Secretary of State announced a £20 million fund to provide training and professional development for early years staff in disadvantaged areas to increase their ability to support children’s early speech and language development. Save the Children’s claim is misleading, university study is just one route into the early years workforce. There are over 250,000 dedicated professionals in the private or voluntary early years workforce, with many coming from apprenticeship or on the job training routes. Today, Thursday 9 August, the National Education Union (NEU) published results from a survey into exam stress. This story was covered by The Mail, Star and The Mirror. We want to improve mental health support for every young person, which is why the government has recently pledged £1.7 billion to help promote, protect and improve children and young people’s health and wellbeing. Furthermore, at GCSE level, incentives for multiple resits have also been removed, giving pupils two years before they sit exams. The same will go for A Levels, as AS exams will no longer be required after the first year of study. This builds on the good work schools and teachers are already doing to support their pupils’ wellbeing – especially during exam season. The government’s new gold-standard GCSEs and A levels are the culmination of a programme of curriculum and qualifications reform over the last seven years after employers told us they were failing to prepare young people for the future. The new qualifications will help young people compete with the best in the world and deliver the skills businesses tell us they need. We know exam season can be a time of heightened emotions for pupils who want to do their best. While testing has always been an important part of education, it should never be at the expense of a young person’s wellbeing. We trust schools to make sure that pupils preparing for exams get the help and support that they need, when they need it, working with parents to do this.